President-elect Barack Obama, upon taking office, will focus on reviving the economy. A massive $850 billion plus stimulus package appears likely. While the nation’s immediate problems are undeniably important, he must bear in mind the long term: specifically, Social Security. America’s retirement systems are largely evaporating. The defined benefit pension plan will soon be less well known than the Brontosaurus. Many employers are putting a halt to employer matches to 401(k) plans; and many employees can’t get those matches anyway because they can no longer afford to contribute to their 401(k) accounts. Many are borrowing from their accounts or making early (and heavily taxed) withdrawals in order to make ends meet. The IRA account has become largely irrelevant, since it has so many limitations that only moderate or low income earners can obtain its full tax benefits—and they haven’t got the extra income to contribute. Besides, with stocks and corporate bonds both down, there isn’t much for 401(k) plans or IRAs to invest in. Meanwhile, the Federal Reserve and the Internal Revenue Code both pummel savers. The Fed keeps interest rates low and the tax laws treat interest and interest-like dividends paid by money market funds as ordinary income, making sure that the thrifty and prudent are duly punished for their lack of recklessness. What incentive do you have to save for retirement? Of course, you could always invest. But, in what? Real estate could have recently lost over 50% of your investment in some markets. Stocks could have recently lost you over 40% in virtually all markets. Your fate as an investor is in the hands of rich and powerful people on Wall Street, who seem to prefer boosting their already enormous current incomes at the expense of your long term welfare. And that’s where you stand even if you weren’t investing with Bernie Madoff. Social Security is the last retirement system standing. It’s saved millions of elderly from poverty, and serves as the foundation of retirement for most Americans. Whatever else the federal government does, it must preserve Social Security. Social Security has never provided more than a modest income, and it won’t be able to do more in the future. But significantly cutting benefits will only rearrange how we pay for the costs of retirement. Younger people will end up supporting parents, aunts, uncles and maybe grandparents. And even if they don’t, they’ll be taxed to pay for the municipal shelters and soup kitchens that will give Grams and Uncle Horace a warm place to sleep and a little something to eat. And, perhaps most importantly, a Social Security system that will keep its promises to today's 25-year olds gives them hope for the future. One of the great illusions of the free enterprise system is the idea that we can stand alone as individuals. Maybe Daniel Boone could look at the world that way. But even by Kit Carson’s time, the fate of solitary mountain men trapping and hunting in the Rockies was tied to Eastern clothing fashions. FDR’s attempts to stimulate the economy out of the Great Depression had limited success at best. In 1938, the U.S. was still gripped by stagnation and high unemployment. But he hit a home run by enacting Social Security. It, like federal deposit insurance, is one of the economic cornerstones of the nation. If the system truly must be changed (a conclusion that depends heavily on the assumptions one makes), better that the early and full retirement ages be pushed back than benefits be cut. It would be harsh and heartless to reduce benefits for folks in their 70s, 80s and beyond, when they would be much less able to work, if they could work at all. The United States will be in for some tough times in the next few years. Ensuring the vitality of Social Security will do much to build confidence in our futures. Have We Reached a Market Bottom? The Dow Jones Industrial Average has been trading between 8,000 and 9,000 for the last few weeks. Some financial professionals have been proclaiming a bottom to the stock market. They point to the 40% drop in the Dow, which is almost the worst it has performed since World War II, and contend that the bad news about the economy has been factored into stock prices. Things should improve from hereon forward, they proclaim. But look at what's happened in the last week. The Federal Reserve lowered short term interest rates to an effective rate of zero. Barack Obama announced his choices for chair of the SEC and CFTC, and a Fed governor. His transition team has been leaking proposals for a stimulus package that could exceed the $700 billion TARP program. GM and Chrysler got critically needed bridge loans that will carry them through the next three months, until the Obama administration can make longer term decisions about auto maker aid. The Bush administration has announced that it will seek authority to spend the second $350 billion tranche of the TARP program (which means more money will probably flow into the economy even before Barack Obama is inaugurated). But what happened in the stock market? There were ups and downs, but by the end of the week, the market was little changed. One could argue that the good news about the economy--which consists almost entirely of actual or proposed government actions--has also been subsumed into stock prices. From this perspective, the implementation by the Obama administration of its announced programs could have limited impact on stock prices. The government may have expended its ammunition. If so, we would then be at the mercy of economic, as opposed to political, forces. The news from the economic front is ugly. Unemployment is rising while economic activity is slowing. Real estate prices show no sign of bottoming out. Europe's economy is sliding faster than expected. China and Japan are busy trying to prop up their own economies. The dollar has reversed its gains and is sliding again (a consequence of the Fed's interest rate cut), setting the stage for potential capital flight. Stores are offering enomous discounts before Christmas in order to lure in suddenly thrifty consumers. Employee pay raises for next year will be modest at best; many will see shrinking pay checks. Yes, oil prices are dropping like a rock, but that's only because the economy is swooning. Is all this subsumed in stock prices? Or is it possible that the worsening recession will push stock prices down from current levels? Only by looking backwards can we call the actual bottom of a market. The rest of the time, we can only make our best guesses based on the limited information we have about the future. But remember that if the bad news about the future can be incorporated into stock prices, so can the good news. Indeed, one would expect that this always happens, since investors would rationally incorporate all information into stock prices. If that's the case, unexpected news will dictate where stock prices go. Be cautious. It's been unexpected news that has driven the market and the economy down since 2007. If you're going to invest in the market, do it a little bit at a time. We've seen all too clearly the dangers of embracing too much risk. The Bernard Madoff Scandal: How Many More Ponzi Schemes Are There? An important question arising from the Bernard Madoff scandal is what wider impact will it have? The proportions of the reported fraud--$50 billion over the course of years--probably set some sort of record. The victims included a number of people who could be featured in Lifestyles of the Rich and Famous. The fact that some charities--and, consequently, the beneficiaries of their charitable activities--were also victims darkens the tragedy of the events. This is the sort of event that shakes investor confidence--in this case, the investors who have enough to turn it over to money managers. These aren't the people with $50,000 or $100,000 in a mutual fund; or $200,000 in a stock trading account. These are people with millions, who hand their hard-earned assets over to investment professionals that supposedly can provide them with selective access to especially good investments. Many of these investors have tony addresses in West Palm Beach, the Hamptons, La Jolla and Marin County. But others live relatively modestly in suburbs better known for the quality of their schools than the opulence of their neighborhoods. These folks tend to be highly skilled in their chosen fields or professions, but not terribly sophisticated about money. That's why they rely on money managers. When it's reported that a man of Bernard Madoff's prominence (well known financial executive and former Chairman of the Nasdaq Stock Market) is a crook, investors naturally begin wondering if their own money manager is a crook. They'll make inquiries, and perhaps check with other sources. Many of them will submit withdrawal requests, preferring to live with the low returns that accompany federal deposit insurance than the possibility that they could lose everything. Those withdrawal requests will be like a hound flushing a rabbit, forcing whatever other frauds there might be out into the open when the fraudster can't honor the withdrawal requests. Are there other Madoff-like scams? We don't know, but probably yes. Money managers, as Madoff purported to be, need to do better, somehow, than the market. There's no need to hire a money manager if all the performance you'll get is the market average. An inexpensive index fund is a much easier and more profitable way to go. According to news reports, Bernie Madoff claimed to have an investment strategy that would produce unusually stable earnings. If you can take the volatility out of the stock market, but produce stock market-like 8% to 12% per year returns on average, your product will be an easy sell with the monied classes. Think back, say, to the stock market volatility of the last few months and you'll see the appeal of stable, stock market-like returns. Of course, as reported, Madoff didn't really have a magic investment formula that did away with volatility, and the recent volatility of the stock market did him in when he couldn't honor investor withdrawal requests. Other money managers make their own claims as to how they'll improve on the market. But what if the law of averages catches up with them and they can't meet their claims? The honest ones will admit their failings and take their lumps. The sleazy ones will perpetrate a fraud. Rising financial markets cover up a multitude of frauds. Good times draw investment dollars into the market and make investors inclined to believe that anything is possible. But the law of averages hasn't been repealed and markets also fall. Falling financial markets reveal frauds, when investors try to pull out and discover they can't get their money back. Unless you've been hanging with Rip van Winkle for the last year, you've probably noticed that our financial markets have been bungee jumping without a rope. As the financial tide ebbs low, all kinds of scum will be exposed. Investor withdrawal requests were a major reason for the sharp drop in the stock market in September, October and November of this year. The market has, momentarily, appeared to level off. The Madoff case, and any others of its ilk that emerge, will probably trigger more investor withdrawal requests. If the money managers are legit, they'll have to sell securities in order to meet those requests. 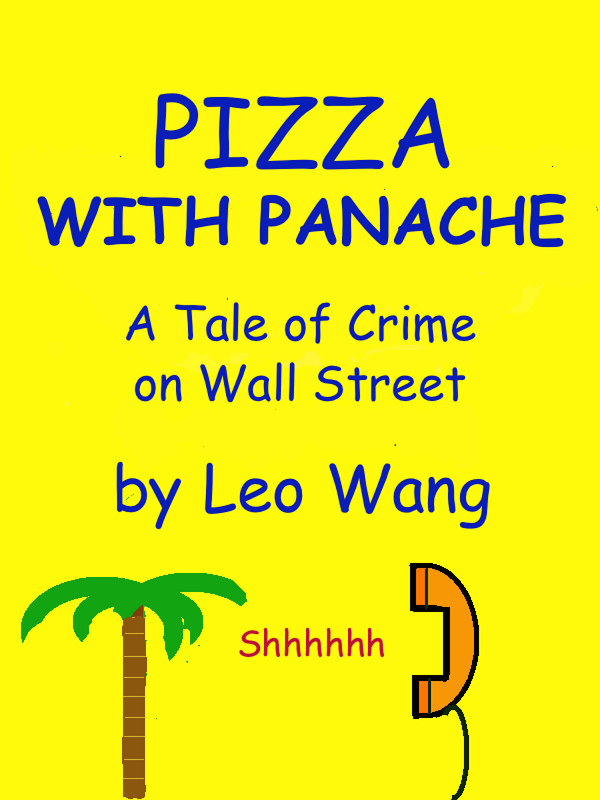 If the money managers are crooks, the ensuing scandal will further erode investor confidence. Either way, the existence of, or even potential for, more large Ponzi schemes a la Bernie Madoff will dampen already battered investor spirits and add to the sell pressure in the market. Will the impact of the Madoff scandal and any others like it drive the stock market down? That's hard to say. The Federal Reserve has printed a trillion dollars plus in the last three months in order to prop up the financial system, and there's no limit on how much more it can print. It's also evident that the Fed and other federal authorities are intent on supporting stock market values, regardless of what they might have said to the contrary. But no amount of government bookkeeping--in actuality, the Fed creates money by making computer entries on its records of the accounts of member banks--can serve as a long term substitute for investor confidence. We now have a continuing mortgage crisis, a widening credit crunch, worldwide recession and a mega scam, and it's not at all clear that the federal cavalry riding over the crest of the hill can slay all these dragons. The recent charges of fraud against Bernard Madoff, once a prominent Nasdaq market maker, remind us that, amidst a financial crisis involving complex financial instruments and obscure investment vehicles with names like SIV, conduit and SPEs, there still remains room for plain old con artistry. If true, the charges against Madoff would demonstrate that people who want something too much are easy victims, and that there are plenty of smooth talkers ready to take advantage of them. Think back to times you were out on the town. It was 15 minutes to closing time, and you still hadn't hooked up with anyone. You didn't want to go home alone, and people who hadn't looked so good an hour ago were starting to look better now. What did you do, and did it turn out to be a mistake? With the stock market down 40% plus, real estate still dropping, and even commodities falling in value, investors may become desperate for yield. Beware. This is the hour of the con artist, those crooks that prowl the country club circuit, cocktail parties and even church socials for victims. The more you want something, the more likely you might believe someone who promises it to you. Your emotions can work against you. Be dispassionate and skeptical. Think about how hard it was to accumulate the money you have, and how painful it would be to lose it. Don't swing for the fences because would-be home run hitters strike out a lot. The same basic principles that governed investing before the Civil War still apply today. If it's too good to be true, it probably isn't true. One of the allegations against Madoff is that he delivered remarkably steady earnings, in both good times and bad. Many people want certainty in an uncertain world, and a clever crook can take advantage of that desire by promising and appearing to deliver six impossible things before breakfast. The sad thing is that some people might buy into the scheme. Don't believe that certainty is possible, except with the very low returns offered by U.S. Treasury securities and FDIC insured bank accounts. Otherwise, be cautious and skeptical. The financial markets are volatile and even the best sometimes lose money (Goldman Sachs and Morgan Stanley, two of the Street's most prominent firms, are expected to report losses this week). Someone who claims to be able to consistently outperform the market is promising something that's too good to be true. Diversify. News stories about the Madoff case report that some individuals and nonprofits may have lost most or all of their money. If so, then they violated one of the cardinal principles of investing. Never put all your money in one investment or one place. Diversify. In the final analysis, investors can't know for sure if a person is a crook. (See our blog at http://blogger.uncleleosden.com/2007/05/how-to-spot-crook.html.) That's why you should never put all your eggs in one basket. Greed Kills. Greed kills financial plans. If you're desperate for yield and willing to believe that you can beat the odds, you'll become careless and miss warning signals. As in many other walks of life, if your goals are reasonable, you have a pretty good chance of attaining them. Investing for reasonable yields so that you'll have a comfortable retirement is more conducive to long term financial security than betting the ranch in the hope of getting yourself into the Forbes 400. If you look for something that's almost impossible, you probably won't get it. If there's one overriding problem with federal policies to deal with the ongoing financial and economic crises, it's that they've failed to reduce uncertainty. Banks are seeing a thaw in the credit crunch, but primarily because interbank loans are guaranteed by governments now. Why not make a loan if the government will ensure repayment? Consumers and nonfinancial corporations don't enjoy government backing. They are being squeezed ever more tightly by a vortex of credit cutbacks, reduced consumer spending, layoffs, flagging consumer confidence, business closings and failures, more layoffs, even less consumer spending, so on and so forth, etc., etc. Federal economic policy to date has been aimed at stabilizing the banking system, not the real estate market. Falling real estate values, which show no signs of bottoming out, only exacerbate the problem. There won't be a significant rebound in real estate for years. That means no free flowing home equity loans, no easy refis, no quick exits from loan defaults by selling the property, and all the other tricks that worked so wonderfully when real estate values were rising at abnormally high rates. There won't be any magic elixir for the economy coming from real estate. Where and when will it all end? Nobody knows. Even with Bush administration backing, a potential bridge loan for the American auto companies seems to be in trouble in the Senate, where the Republican old guard will make one final stand before the Obama administration takes office. The Republicans might, one last time, have their way momentarily. If they do, however, that means GM and Chrysler bankruptcies, and possibly Ford as well. (See the preceding blog for why.) What could ensue from those bankruptcies is unclear, but sure to be ugly. The only question is how ugly. What's a person to do? In a time of national uncertainty, create some personal certainty. Don't wait for the government to stabilize things. Stabilize your personal finances. When financial storms are blowing, the most stable have the best chance of survival. Here are some things to think about. Save more. During hard times, nothing provides financial stability and high quality sleep as well as a nice pile of cash. See http://blogger.uncleleosden.com/2008/12/how-to-build-wealth-in-recession.html. Maintain health insurance coverage. Nothing can wreck your personal finances like a major health problem. Health problems are perhaps the most common reason for individuals to declare bankruptcy. If you're laid off, exercise your COBRA rights to stay with your employer's group policy. If you think COBRA is too expensive, exercise your rights anyway, to be sure you've coverage for at least the next 18 months. Then, shop around for a cheaper policy. But first make sure you're protected. If your employer goes out of business and terminates its health insurance coverage, look for alternative coverage (for more information, see http://blogger.uncleleosden.com/2007/06/how-to-find-health-insurance.html and http://blogger.uncleleosden.com/2007/09/health-insurance-update.html). But don't go uninsured. Consider a job with a pension. Pensions still exist. Some large corporations offer them, and many government and educational jobs offer pensions. The same is true for military service and many law enforcement jobs. Not everyone is cut out for these jobs. But if you are, your golden years will be a lot rosier with a pension. See our discussion of hope for the financially lost at http://blogger.uncleleosden.com/2007/05/how-to-retire-without-saving.html. Increase your Social Security payments by working longer. Social Security is actually a government sponsored pension program for almost all workers in America. Your payments increase if you work more years, and are adjusted for inflation. While Social Security itself provides only a modest income, it's a darn sight better than poverty. The longer you work the more Social Security you get, and the more stable your finances will be. See http://blogger.uncleleosden.com/2007/05/mysteries-of-social-security-retirement.html. Pay off your mortgage. With today's real estate crisis, this one's a no brainer. Don't think about how you might leverage your house to make money in other investments. What other investments are there today that could make you a higher return than the interest rate on your mortgage? And even if there might appear to be some, how would you cover the risk of the investment failing? (As we now know, it remains possible, even in the 21st century, for investments to fail.) Paying off a mortgage clears the roof over your head of a really big lien, which significantly reduces your risks. Reducing risk increases stability. And that's the name of the game today. Marshal your assets. Get your finances organized and make sure you've got everything you're entitled to. Cash all checks you receive--believe it or not, large numbers of checks (including some IRS refunds) are not cashed or deposited. Close out small bank accounts you're not using. If you have a jar of change you're not using, take it to a bank and deposit it. Sell property you have no use for and no sentimental reason to keep. Find out if you have unclaimed property. If you do, claim it. See http://blogger.uncleleosden.com/2007/05/unclaimed-money.html and http://blogger.uncleleosden.com/2008/08/how-to-avoid-having-unclaimed-property.html. Reduce and avoid debt. This one shouldn't need explanation these days. GM Bankruptcy or Bailout? We'll Know Soon. Very Soon. Over the next few days, Congress and the White House will try to put together a bailout for GM, Ford and Chrysler. If they don't succeed, there will be a number of shopping days left before Christmas when GM institutes bankruptcy proceedings. With all the publicity about its cash flow crunch, GM's suppliers are getting antsy about shipping parts without getting paid up front. Demands on GM's cash will increase at exactly the time when it is running out of cash. Some creditors may jump into court in an effort to collect on their debts quickly, before things completely fall apart. Without a bailout, the only way to stem the chaos would be a bankruptcy filing. And the filing would have to be made immediately in order to conserve as much of GM's dwindling cash reserves as possible. The company wouldn't want to burn down its funds and then file for bankruptcy, since that would leave it with no cash for a reorganization. If there is no bailout, Christmas in bankruptcy could also be in store for Chrysler and major auto parts suppliers. Chrysler, too, has predicted that, without a bailout, it will run out of cash by the end of December. So its situtation is similar to GM's, and, without federal funds, it would have the same incentive to duck into bankruptcy court sooner rather than later. The parts suppliers' problems could play out like this: if GM (and Chrysler) institute bankruptcy proceedings, they'll immediately stop paying trade debt in order to conserve their cash. Tens of millions and perhaps hundreds of millions of dollars of accounts receivable owed by GM and Chrysler to the parts suppliers would immediately be uncollectible in the ordinary course of business. (The parts suppliers would, in turn, stop shipping to GM and Chrysler until they got concrete assurances of payment for new parts, but that wouldn't get their old accounts receivable paid.) The nonpayment of accounts receivable would put the suppliers into a cash flow crunch, and could violate the terms (covenants) of bank loans they might have and bonds they might have issued. The cash flow crunch and covenant violations could put the parts suppliers in operational and legal jeopardy, giving them the incentive to file for bankruptcy as soon as possible in order to conserve their cash resources and avoid creditor lawsuits. Once in bankruptcy, the future of these companies would be highly incertain. Consumers might well avoid buying a long term product like a car from a bankrupt company. Car buyers want warranties to be honored and replacement parts to be available. Without plenty of customers, the bankrupt companies' chances of successfully reorganizing would be somewhere between none and zero. The worldwide automotive industry has lots of excess capacity, because it was geared up for the boom times of 2006 and 2007, when auto sales were 40% or more higher than they are today. Toyota, Honda, Nissan and others would fire up their idle capacity and move with alacrity to supply more cars while GM's and Chrysler's creditors, suppliers, shareholders, management, and labor unions enriched lawyers sparring around in court. Lost market share would be difficult or impossible for the American companies to regain, because the trust between manufacturers and consumers would have eroded. Ford, too, might have to follow GM and Chrysler into bankruptcy. It shares many suppliers with the other auto companies. If the suppliers are bogged down in bankruptcy, they may be unable to supply Ford adequately. Consumers may shy away from Ford, too, in the belief that it's near the brink. Of course, that belief could make a Ford bankruptcy a reality. Maybe a regulatory agency can prohibit short sellers from acting on the belief that a bank is about to go under. But the government can't force consumers to buy cars from an auto manufacturer they believe is about to go under. Congress is expected to vote on the bailout next week. If there is no bailout, expect a GM (and very possibly a Chrysler) bankruptcy filing probably by late Friday afternoon or some time next weekend. They wouldn't need to file a bankruptcy petition at a clerk of court's office during regular business hours. All they'd need to do is find a bankruptcy judge with jurisdiction over the case and give him or her the filing, at home or somewhere else. Bankruptcy judges are cooperative about accepting petitions from publicly traded companies at odd hours. Filing during stock market hours could lead to messy trading--that is, messier than the mess that you'd have anyway. News reports at the time we write this blog indicate that the Bush Administration and Congressional leaders are trying to put together a $15 billion bridge loan to tide the auto companies over until Barack Obama is inaugurated. Clearly, George W. Bush figures auto company bankruptcies could be really bad, and doesn't want that mess as part of his already very messy legacy. The Democrats hold the better hand. If there is a bailout, they can claim most of the credit for it. If there isn't a bailout, the GM and Chrysler bankruptcies will have begun on George W. Bush's watch, and the Dems can blame the Republicans. Then, with their increased control over the legislature in the next Congressional session, the Dems will be able to ride to the rescue with a massive stimulus package and secure the loyalty of large swaths of the electorate for potentially a long time. The leaders in both parties understand this dynamic. While many Republican (and some Democratic) lawmakers would rather drink horseradish straight up than vote for an auto company bailout, there seems to be a good chance that enough of them will go along with a bailout so that they can pass the hot tamale to President Obama when he takes office. If that happens, he'll truly learn what it means to have the buck stop with him. Okay, it's now been officially announced that we're in a recession. Which you probably had noticed since the recession actually began in December 2007. Now that we're experiencing the volatile side of stock market volatility and 401(k) accounts are becoming 201(k)s, building wealth seems ever more difficult. It is, but there's a time honored way to increase your net worth that has almost been forgotten in America. It's called saving. And it's the key to building wealth, in good times and bad. Here's why. Take the long term historical average gains in stocks, beginning around the early 1900s, and you'll get a figure like 6% to 7% per year. Let's work with 7%. Take out 3% for inflation, which is another rough long term average. That leaves 4%. Then, take out 1.5% for investment costs (read your mutual fund prospectuses; many of you will find this is no exaggeration). Then take out another 1.5% for taxes (remember that for 401(k)s and other retirement accounts, you'll pay ordinary income tax rates on your withdrawals, not the lower capital gains rates). We're down to 1% per year. If your investment costs and/or tax bracket are on the high side, you may be close to 0%. The numbers shown in your account statements may not seem so bad, but they aren't adjusted for inflation or reduced by the taxes you'll pay. The picture gets grimmer when one factors in stock market volatility. The 7% per year average gain is just an average. As we so painfully know from this year, not all years are average and we're not in Lake Wobegon. The stock market first reached current levels (8419 for the Dow Jones Industrial Average) in February 1998. In other words, if you invested $1,000 in the stock market in early 1998 and held it until now, over ten years, your investment would have gone exactly, precisely nowhere. Passbook savings would have been more rewarding (plus you'd have a toaster and FDIC insurance). If your retirement strategy was to bank on stock market returns, you'd be looking at golden years eating dog food while working part-time at a discount store where you might be trampled by irrationally exuberant shoppers. Simply stated, the key to building wealth is to save a lot. You won't net much from the stock market (and bonds and money markets are even less promising on a long term basis). Don't expect to be able to invest your way to millionaire status. We've seen what happens to those that buy into Wall Street's innovative financial engineering. And, unless you're a tremendously energetic self-starter with a very understanding family, you won't be able to become a millionaire by establishing a business. In a sense, this is very reassuring. Saving is something anyone can do. You don't need a college degree, or even a high school diploma. You don't need a sophisticated understanding of investments or finance. Putting 10% of your earnings into passbook savings would probably do you more good than putting 1% of your earnings into stocks. While stocks, based on long term historical data, have been better performers than safer investments like passbook savings accounts, you should save in whatever way that gives you peace of mind. If you can't stomach stock market volatility, try the neighborhood bank. The worst thing you can do is give up and not save. One advantage of saving a lot is you learn to live on less, because more of your current income is going into savings. As a result, you'll need less money in retirement to maintain your current lifestyle, while you'll put away more money. This saving-spending dynamic provides a powerful retirement planning tool. A little math reveals that saving 15% to 20% of your earnings for 30 years will, together with Social Security, pretty much allow you in your golden years to maintain your pre-retirement lifestyle. (See http://blogger.uncleleosden.com/2009/07/simplest-financial-plan-of-all.html). While saving that much is a challenge, it's not impossible. Try to rationalize living without Carzilla or a gargantuan flatscreen TV today so that you can avoid eating dog food in old age. Some of us don't find that a hard choice. Those that are unemployed, retired, or face large medical expenses can't follow this strategy. But with unemployment around 7% (the currently announced rate is 6.5% but it's headed upward), that means 93% of the work force is employed and most of them can save. You may have a lot of excuses for not saving, but you can't buy a steak in retirement with an excuse. You'll need money for that. In the marathon that is life, slow, plodding, frugal savers win in the long run.